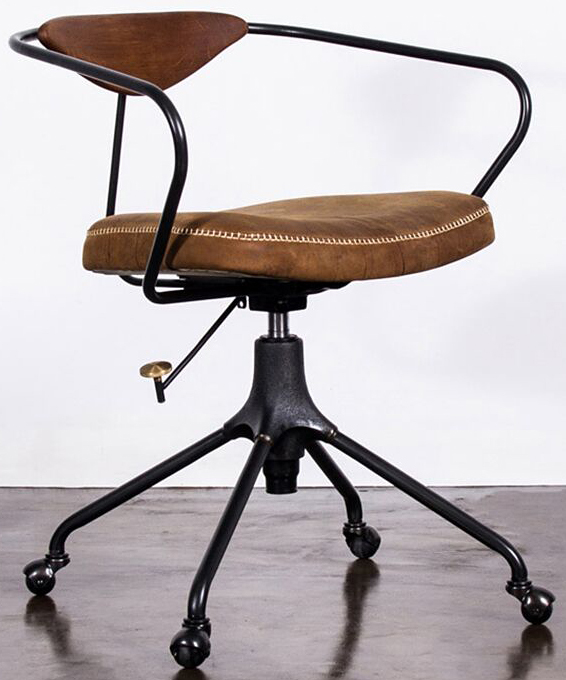 The Akron Office Chair brings the classic contemporary industrial style design into any office with style. Akron is constructed using a blackened cast iron stem, black steel seat frame and legs with casters made of steel and rubber. The office chair also features brass braising details. This comfortable and well-cushioned seat comes upholstered in leather with hand-stitched details. Solid French oak is used for the backrest and available in 3 finishes; Umber Tan With Hard Fumed Finish, Storm Black With Charred Black Finish and Jin Green With Smoked Oak Finish. 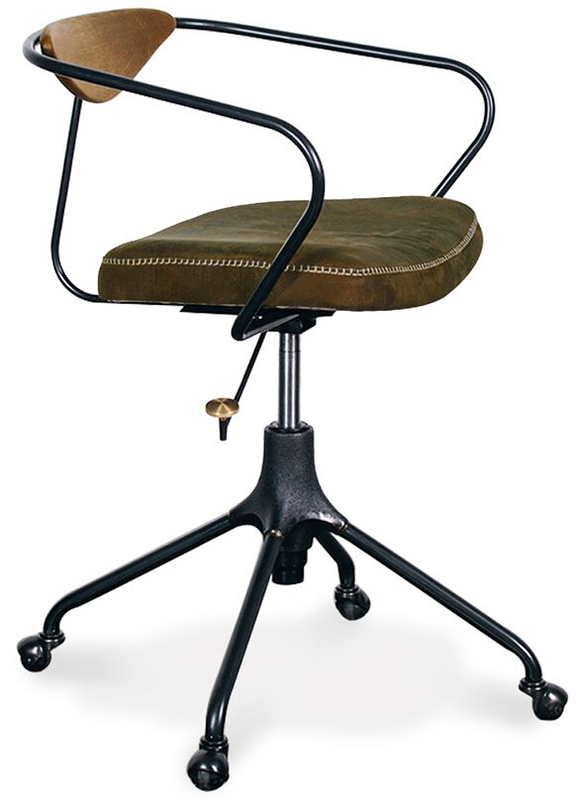 Akron can also be adjusted 4 inches using the lever with brass detail located under the seat.